As a prominent part of the heady late 70’s and early 80’s Cape Town scene, Dax Butler and The Other Band provided a perhaps less strident but equally rebellious musical equation that tapped blues, country and African influences. While they seemed set for future success, heroin and crack had other ideas for Dax Butler. Throughout the 30 or so hard years since those days, the one thing that Dax held onto and held sacred was his songwriting. Recordings didn’t materialize, and guitars tended to disappear, but the flame was kept safe. With the help of Cape Town’s own T-Bone Burnett in the form of Willem Moller, Dax has emerged with two albums that tell us that amazing things can happen even late in the game. Junkie storyteller and outlaw songwriter, Dax’s songs employ dark humour, a desire to avoid the obvious, and a deceptively strict songwriter discipline. “Trouble in Mind” and “Drink in Everything” are fitting testaments to this artist’s resilience and talent. Andy Lund grew up surrounded by the ethos of the songer/songwriter via his father, who played guitar and piano songs by 70’s era songwriters such as Gerry Rafferty and Cat Stevens. Andy’s initial compositions for the band Roswell Kings were more of the rock persuasion, using alternative tunings and riff based forms to create his songs, but even at that stage he was using elements of blues and country which later became a large part of his writing. An integral part of the Cape Town alternative scene, he has played all of SA’s major festivals as well as hosting the long -running showcase nights at House of Machines. His guitar playing can veer from grunge power-chord thrashing to country blues twang, and his songs encompass alt-country, blues and folk, referencing acts such as Ryan Adams and Jeff Buckley. 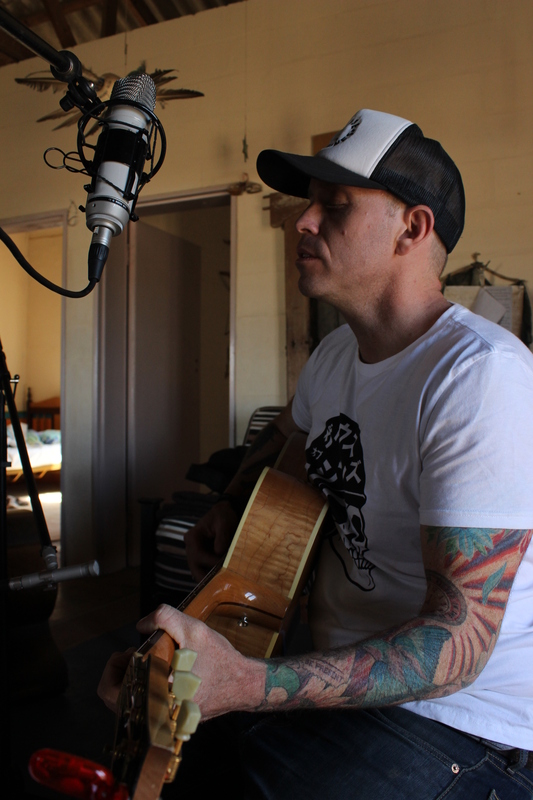 He is currently recording a new alt-country album which we are very much looking forward to hearing! Accomplished Singer/ Songwriter and guitarist Nick Turner was the founding member of Sons of Trout in the late 90’s, and later one half of Mikanic, with fellow Trout Mike Rennie. Nick’s music effortlessly spans genres with influences ranging from Rock, Reggae, and Afro-Pop to Ghoema, hip-hop and jazz. He writes in both English and Afrikaans, with songs that are lyrically powerful, relevant, humorous and energetic. His music has a wide appeal, with performances that feature virtuosic musicianship. After spending several years in New York City, Nick returned to Cape Town to embark on a solo career. Since then he has been a regular highlight on the stages of the country’s major music festivals including Oppikoppi, Cape Town International Jazz Festival, Rocking the Daisies and KKnK, the Klein Karoo Nasionale Kunstefees. After much anticipation Nick has released his first solo album “Home and Secure”Nick drew together a stellar line-up of musical collaborators to weave the rich sonic tapestry of the album. Most of the songs on the thirteen-track album are new, including a few Afrikaans numbers which are already favourites with live audiences, as well as fresh takes on a couple of songs from Nick’s Trout and Mikanic days. As always when it comes to Nick Turner’s music, not only is the musicianship masterful but the album is also lyrically so smart; there are songs that will make you smile and others that bite, very nicely indeed. John McGuinness and Vince Lewis’s “Greetings from Philadelphia” has been a project that has been some time in coming…50 years, to be exact. 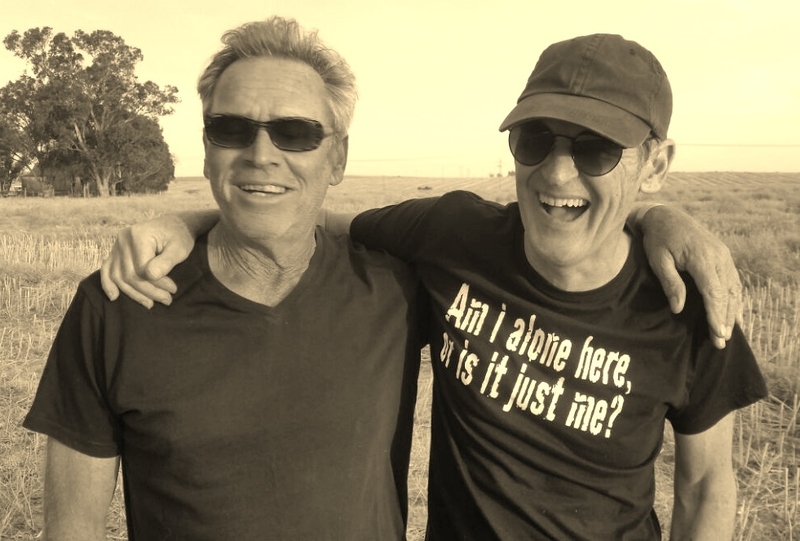 From being soloists together in the choir at Boston Primary School in 1967, they travelled different paths and many miles until reconnecting in 2016, a meeting that resulted in a new found synchronicity and to the album recorded at Vince’s studio in Philadelphia in the Western Cape. While his older siblings were all born in Dublin, John McGuinness was the first child born in Africa to Irish parents who had left Ireland for the new world. His father played drums and his mother played the piano (mainly the black keys!) with local musicians coming for the Sunday sessions at the house. 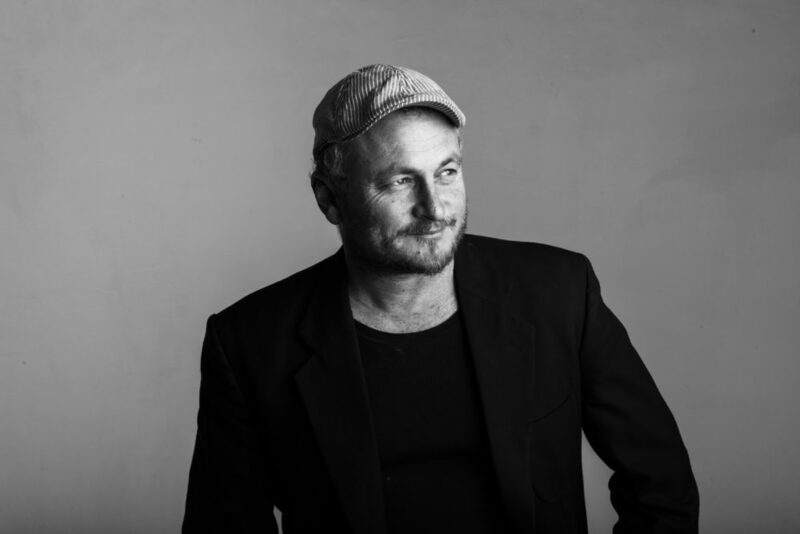 With his older brothers playing in bands as well John started singing early on in high school groups, and with Adrian Bekker started “The Workers” who played the alternative end conscription campaign Cape Town scene with shows at the Space Theatre and Yellow Level amongst others. 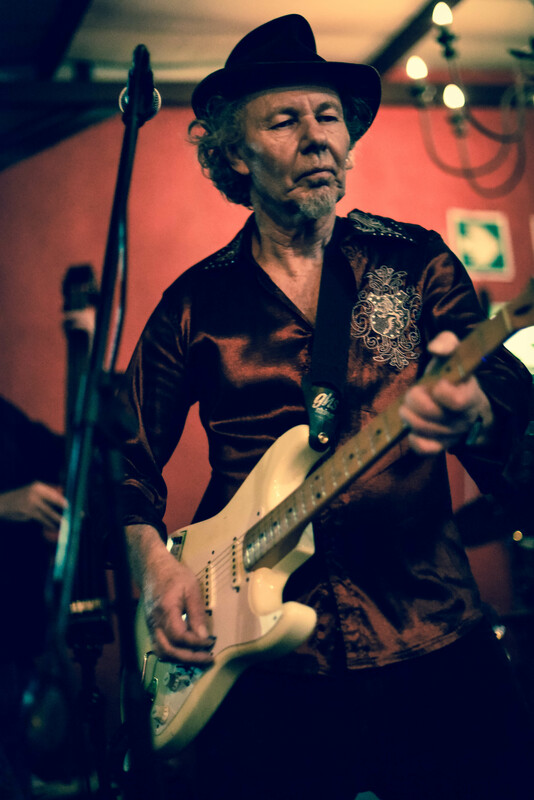 Primarily motivated by guitar players, John’s musical influences ranged from blues to pop to funk to jazz, along with African influences such as Edie Nederlander and Johnny Clegg. A prolific writer, he relocated to London in the early 80’s and picked up interest from several major league players. However, the combination of London boycott mentality and the drive from management to push John into a very African direction was not a positive environment for this diverse and eclectic songwriter and he returned to SA when Mandela was released. An encounter with his old Boston Primary choir companion Vince Lewis resulted in an instant musical connection.. and a song, “Tony’s Dog”…expressing their mutual disappointment over a new Tony Joe White album! Studio sessions followed and after going through many songs they arrived at the selection that makes up the album. Apart from one regrettable year of having a day job, Vince Lewis is a seasoned veteran of the famous Holiday Inn/Southern Sun circuit that stretched from South Africa to the then Rhodesia. 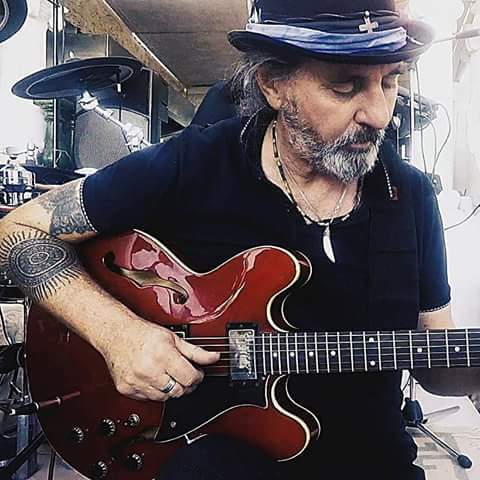 The son of a classically trained pianist mother, Vince started professionally as a guitarist in the thriving music scene of PE in the 70’s with the band Barnaby Rudge, and moved onto bass throughout stints with hard-working outfits like Razzle, the Joe Parker Band and On Line. After decades of working the circuit Vince did what we all dream of, moved to the farm and started running a successful garden nursery business. While he stopped playing live, without the constraints of the cover scene his music took on new life with original ideas coming to the fore. The freedom to write and record his own songs resulted in him releasing a solo album, “Paradise”, through Polygram, and his return to playing live (after much hassling by a neighbour) was kick-started by a jam with John at his birthday. The rest, as they say, is history..and also the title of their first single! While both have very varied tastes, Vince brings the rock-solid bottom end of his early influences Credence, Led Zep and Black Sabbath to the musical equation while John’s melodic guitar playing and at times Celtic sense of song makes for a both familiar and yet fresh sound. Shoreline Songs is very proud to be presenting “Greetings from Philadelphia” online, and we look forward to hearing more! 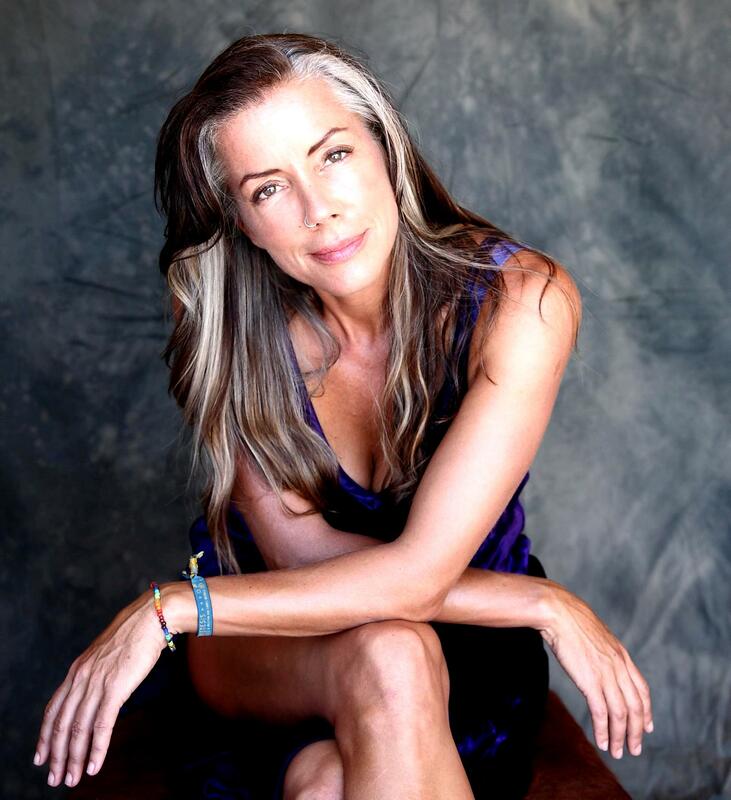 First rising to national prominence as lead singer for the Sweat Band with the Kevin Shirley produced hit “This boy”, Wendy Oldfield’s powerful and soulful voice has been a fixture on the South African music scene for 30 years. A prolific songwriter and expert djembe player, she has continued to release albums with several radio hits such as “Living in the real world”, “Miracle”, and her biggest hit “Acid Rain”. She has worked with many of the top SA artists such as Steve Newman, Paul Hamner, Pops Mohammed, Gito Baloi and many others, along with fronting world music project Mondetta and winning best album for “On a pale blue dot”. Her latest album “Supernova” continues her journey of combining the various influences of pop, blues, soul, dance and African styles. Recently she has also formed a duo with Robin Auld called AuldField, with several national tours and a CD to their name. An iconic and enduring South African lady of song. 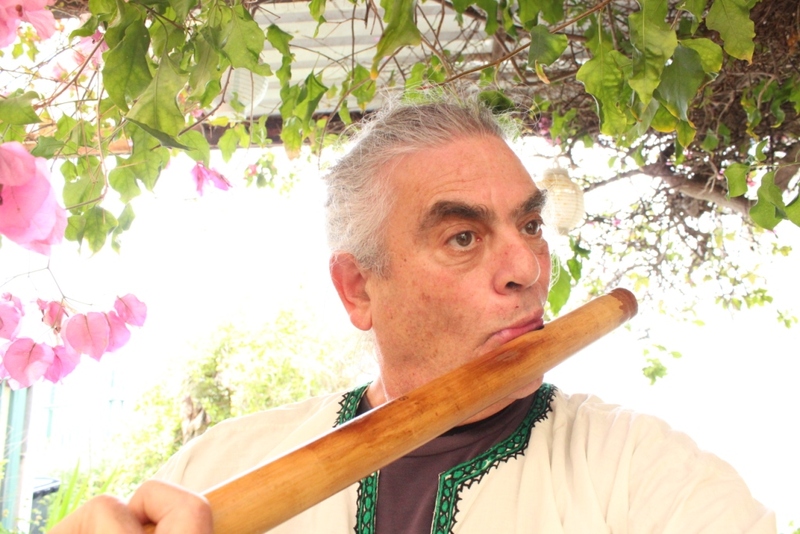 Ronan is a didgeridoo player, percussionist, producer and sound connoisseur. 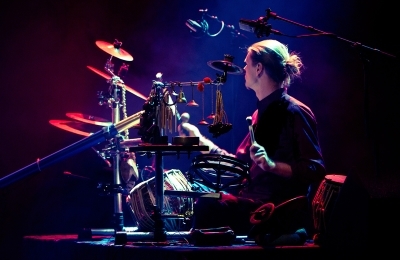 Over the years he has been exploring a fusion of tabla, percussion and didgeridoo by means of a hybrid kit which he designed. He makes many of his instruments by hand, using natural objects such as seed pods, tree bark, cocoons, reeds and hide to create percussive sounds. Ronan has featured his sound in musical genres across the board, from classical, rock and folk to electro, jazz, world music and hip-hop. Tim Parr first came to national prominence in the southern-rock blues band Baxtop, where he shared guitar duties with Larry Amos in the Joburg club scene of 1976. Rising quickly to the top of the club scene and winning the SABC battle of the bands, they recorded “Work it Out” for Warner Brothers in 1979, which remains an enduring classic. Tim then formed Ella Mental with Heather Mac, which was one of the most iconic 80’s bands to come out of South Africa. Playing out the 80’s festival circuit and securing many top 10 songs along with several no 1’s, they relocated to Ireland in 1986 and recorded an album with producer Stewart Levine, who failed to capture the bands essence. Tim then returned to South Africa to form the Zap Dragons who gigged hard throughout that emotional period in SA’s history. His solo album “Still Standing” is a brilliant mix of country, pop, blues, soul and rock with the title track a firm favourite among SA audiences. The common thread throughout all these projects has been Tim’s expressive and soulful guitar playing, and unlike many guitarists his rhythm and textural playing is as distinctive as his lead work. He lives in Cape Town and is currently playing with his band the Greenworld Collective. New songs and albums are in the pipeline including some that will feature his piano playing, and we look forward to hearing more from this natural musician and songwriter in his ongoing journey! 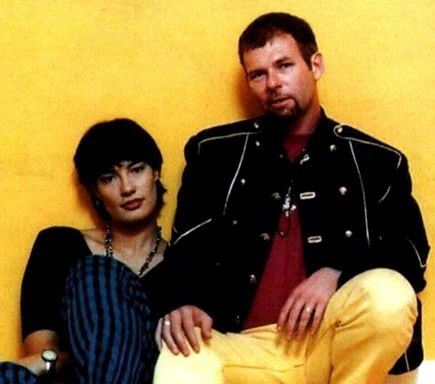 Founded by Skye Wilson and Gregory Schoeman in 1993, the Sunshine’s album Removable Tattoos stands as one of SA’s best pop records of all time. Tunesmiths of the first order, Skye’s original and melodic phrasing was the perfect foil for Greg Schoemans jangle rock guitar, and they built their solid rep on the live circuit that thrived around the buzzing Rockey Street of early 90’s Johannesburg. Recorded by Lloyd Ross for Shifty Records, tunes such as “Wanna make love”, “Happy Person” and “Judy” were perfect radio hits that resulted in the band playing every major festival alongside the best of SA’s 90’s poprock boom. Shoreline is very pleased to be able to offer this album online, but also to be able to release these talented artists’ solo albums recorded in recent times. Watch this space for Skye’s “Transformme” and Greg Schoeman’s “In my street”! Caroline Blundell grew up steeped in the folk traditions of storytelling and fingerstyle playing that surrounded her from an early age. Her father Keith Blundell and her mother Pamela were folk icons in the South Africa of the 60’s and 70’s, with her siblings Jonny and Julie both becoming accomplished musicians in their own right. 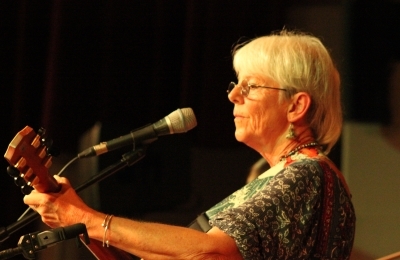 She started playing guitar at 11 years of age and performed in a variety of line-ups throughout South Africa at festivals and folk clubs, becoming an experienced performer and guitarist. But songwriting was never at the forefront of her music and it was only with the release of Flying Visits in 2012 that she started exploring this side of her talent. Blessed with contributions not only from the cream of South Africa’s folk musicians, but from her brother and sister, this album was followed by Telling Tales in 2017. The authenticity of her voice, melodies and guitar playing came as no surprise to the musical community, and the interest in Caroline’s songs continue to grow apace and abroad. Zimbabwean born Tony Cox is an award-winning guitarist and singer/songwriter with a body of work that stretches five decades. Learning to play on a Hawaiian guitar at 9 years old in Kwe Kwe in the then Rhodesia, he progressed on to classical and the acoustic guitarists of the time such as Leo Kottke and Bert Jansch. Composing was a part of his playing from very early on, and on his family’s move to Cape Town he heard the indigenous guitarists of Southern Africa and in particular Maskandi artists such as Noise Khanyile and Sipho Mchunu. This informed the development of his unique style which blends, in a seamless and natural way, the styles of the classical and Western masters with the sounds of Southern Africa. His music has taken him all over the globe where he has received glowing reviews at some of the biggest international guitar festivals such as Edinburgh and Lewes. Based in Knysna on the Western Cape’s garden route, he balances his online teaching programme with family life and performing live both home and abroad. Chris Tokalon who sadly recently passed, was a musician who played sax, flute and hang drum and was also well known a sound therapist and recording artist. 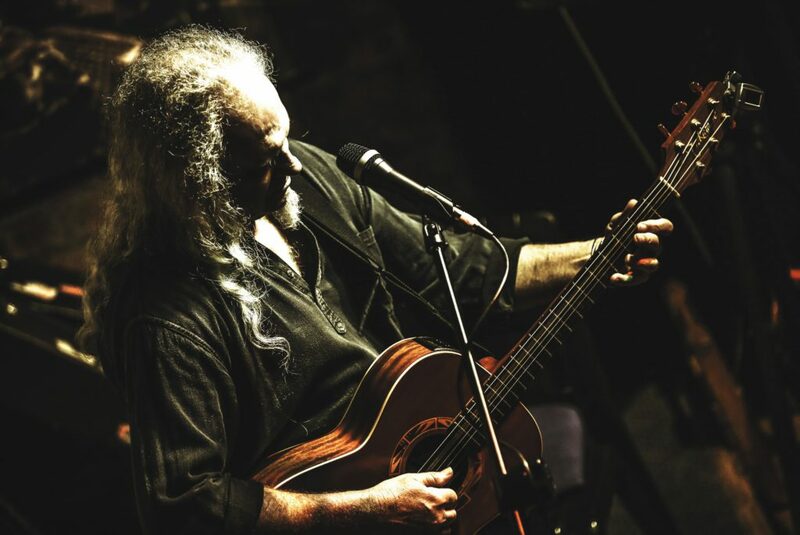 He had played in South Africa since 1979 in a wide variety of collaborations which have been at the forefront of local original music over the years – African jazz ensembles, theatre musicals and cabarets. He had performed around SA with various bands and artists such as Steve Newman, Tony Cox, The Jazz Hounds and Paul Hamner to name a few. The album was banned for possession and distribution and the security police launched a covert ‘operation’ to silence him. His second album “Half A Live” was also banned. 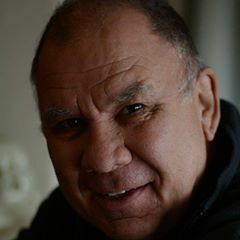 The full story of those times only emerged a decade and a half later, when the policeman in charge of the ‘operation’ revealed the story to the Truth and Reconciliation Commission. Roger went on to work as a TV journalist covering the wars in Southern and East Africa and later in Madagascar, Bosnia and Chechnya. He left the news industry after more than a decade to join ‘Theater for Africa’, an environmental theater company, producing two of his own plays and acting, composing and playing music for many others. He later joined etv, as editor and presenter of a nightly arts/news program. He was awarded the Arts and Culture Trust award for his work in publicizing the arts in South Africa. He has conducted several courses in television journalism and documentary production in the SADC countries and in SA. In May 2010 he graduated as valedictorian from Duke University’s Graduate Liberal Studies program. His final project, an autobiography Back In From The Anger was published in 2012 and was nominated for the Alan Paton award for non fiction. He taught for two years at Duke’s Center for Documentary Studies, during which time he performed several concerts in the USA. At the time his work was featured in the inaugural exhibition at the Museum of Modern Culture in Gotteburg, Sweden. He returned to etv to work on major documentaries on Nelson Mandela and Desmond Tutu. He was a featured artist at the Incroci de Civilta literary festival in Venice and the Vicenza Poetry festival in 2016 and toured Italy, Sweden and Denmark in the same year. His work is the subject of doctoral theses at universities in Venice, Vienna, and Rhodes university. In 2016 he received a lifetime achievement award at the South African Music awards as well as the Moshito award for his contribution to South African music. Roger now lives in Napier, Western Cape where he has recently completed his second book and continues his work as a songwriter.